Fittingly titled “AI made in Germany”, the German Federal Government presented its National Artificial Intelligence Strategy in late 2018. 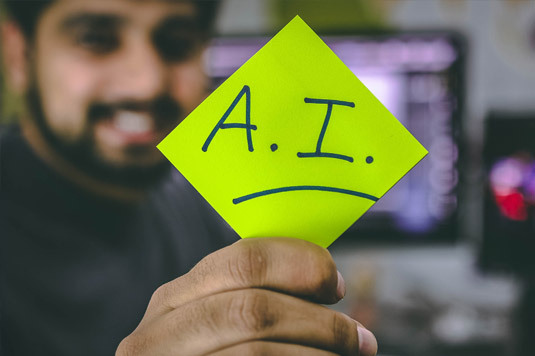 With AI as one of the cornerstones of digitalisation, one major task will be the integration of the AI strategy into existing digitalisation strategies. As part of the Mittelstand-Digital Competence Centre eStandards, the CSCP is contributing its expertise. Triggered by the new Federal AI Strategy, Mittelstand-Digital has initiated a Working Group on Artificial Intelligence, in order to best serve SMEs with all their AI-related projects and needs. The Working Group consists of representatives of each Competence Centre, so new insights are distributed throughout the country as well as across focus topics. It will be exciting to see how the new working group influences the Competence Centres’ work on AI, what kind of practice projects will result from the new initiative and which best practices they can identify for SMEs across Germany. Mittelstand-Digital is an initiative by the Federal Ministry for Economic Affairs and Energy, the largest of its kind, to make small and medium-sized enterprises (SME) fit for digitalisation. Through 25 Competence Centres, Mittelstand-Digital informs small and medium-sized enterprises about the opportunities and challenges of digitalisation. They help local small retailers as well as larger production companies with expert knowledge, demonstration centres, and networks to facilitate the exchange of experiences and practical examples, free of charge, and disseminate best practices to inspire and instruct other SMEs. The CSCP is a partner in the Competence Centre eStandards, where we emphasize the importance of sustainability in the process of digitalization. For further information, please contact Thomas Wagner.